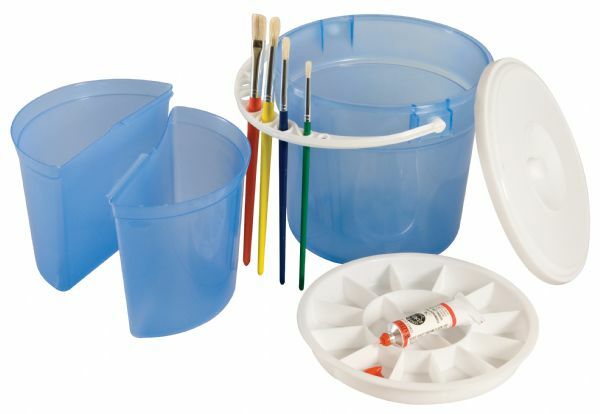 Water bucket holds two liters of water plus two removable inner basins hold one liter of water each. * Self-storing 16-well palette included. 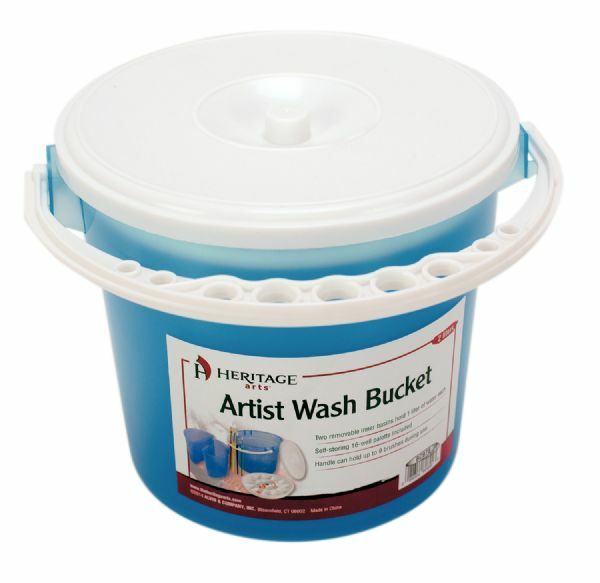 * Handle can hold up to nine brushes during use. The size is 4 ltr. The type is cleaning basin. 6.69" x 6.69" x 5.91"